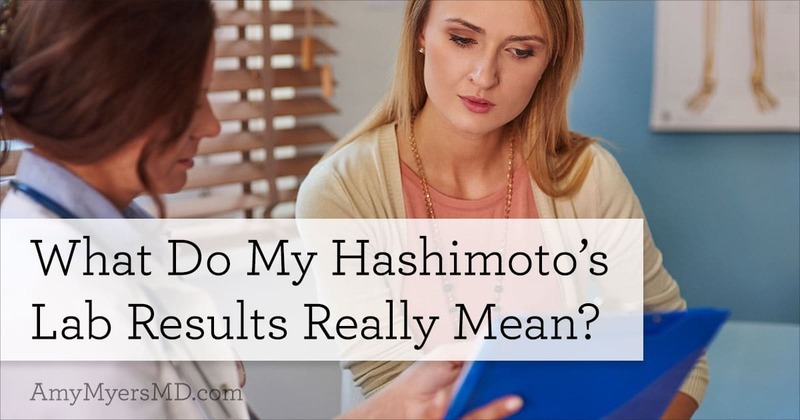 One of the questions I am most frequently asked is ‘what are the most important thyroid labs to check if you have Hashimoto’s?’ This, along with what do the lab result mean, are two of the most important topics to understand if you have Hashimoto’s or any type of thyroid dysfunction. And let me tell you, there is a lot of misinformation on the internet and in the conventional medicine world surrounding these two topics. That’s why I discuss them in-depth in my book, The Thyroid Connection. In this article I’ll explain what each thyroid blood test measures, why your doctor should check them, and what the optimal reference ranges are to ensure your thyroid is functioning optimally. The hypothalamus, which is responsible for managing hunger, thirst, sleep, hormones, and body temperature, among other important functions, continuously monitors the level of thyroid hormones present in your bloodstream. If it determines that energy levels are low, it sends out TRH, Thyroid Releasing Hormone, to your pituitary gland. Your pituitary gland then releases TSH Thyroid Stimulating Hormone, which is sent directly to the thyroid in order to produce more thyroid hormone, or T4. As a result, your TSH level is actually an indication of what your pituitary is doing based on your hypothalamus’ feedback loop, rather than how your thyroid is actually functioning. Because of this negative feedback loop, the meaning of the results are often counterintuitive and confusing. If TSH is low – this can be a sign that you are over-producing thyroid hormones and are hyperthyroid, OR that your thyroid medication dose is too high. Supplemental T3 or natural desiccated thyroid hormone with T3 can artificially suppress your TSH, so in the absence of symptoms it could be perfectly normal. Once TSH signals to your thyroid to ramp up production of its hormones, it produces the four different types of thyroid hormone – T1, T2, T3, and T4. The primary output of your thyroid is T4, which is a storage form of the hormone. It is circulated throughout the bloodstream and stored in tissues so that it’s available when needed. I like to measure Free T4 (FT4) since it is unbound and able to act in the body. When each local area of your body determines that it needs more power, it converts storage T4 into Free T3, which is the active form of the hormone. These hormones attach to receptors inside of your cells to power your metabolic processes, which is why I like to think of them as the gas. 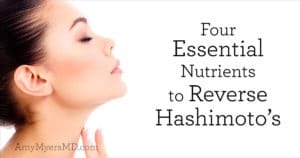 If FT3 is low – you may not be converting T4 to FT3 very well and you could have Hashimoto’s symptoms even if your TSH and FT4 are within range. This is one of the most common causes of Hashimoto’s symptoms I see in my clinic. Your body also uses a portion of the T4 to create Reverse T3 (RT3), another inactive form of thyroid hormone, but one that can attach to the receptors for Free T3 in order to slow down your metabolic processes. For that reason, I call RT3 the brakes. If RT3 is high – you are likely converting too much T4 to RT3 and not enough to FT3, which can cause Hashimoto;s symptoms even if your TSH and T4 levels are optimal. In addition, I look at something called a RT3/FT3 ratio and I like that to be less than a 10:1 ratio. 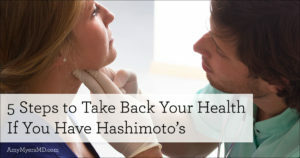 Hashimoto’s is an autoimmune condition, meaning your immune system is attacking your thyroid, causing it to underproduce its hormones. This is incredibly important to understand, because once you develop one autoimmune disease, you’re three times as likely to develop another. It’s also important because as I explain in both of my books, The Thyroid Connection and The Autoimmune Solution, autoimmune disease can be REVERSED by addressing its root causes – leaky gut, diet, toxins, infections, and stress. There are two main types of thyroid antibodies. Thyroid peroxidase antibodies, TPOAb, attack an enzyme used to synthesize thyroid hormones and are commonly elevated in both Hashimoto’s and Graves’ Disease patients. Thyroglobulin Antibodies (TgAb), attack thyroglobulin, which your thyroid uses to produce its hormones. They are typically elevated in Hashimoto’s patients. Most conventional medicine doctors only check your Thyroid Stimulating Hormone (TSH) levels. If you are lucky, they will test your Free T4 levels to see if you are low on the storage form of thyroid hormones. However, as we’ve just covered, there are many factors involved in optimal thyroid function, so those two levels alone don’t tell the whole story. To get a complete picture of a patient’s thyroid health and medication needs, I recommend ordering all of the thyroid tests listed below. Even if your doctor does order a complete thyroid panel, they’re usually relying on “normal” reference ranges that are too broad and often inaccurate. When they created the lab reference ranges for a healthy thyroid they later discovered that they had included people who already had thyroid dysfunction! Because of this, in 2003, the American Association of Clinical Endocrinologists recommended that the lab reference ranges become more narrow. Yet still today, most doctors and laboratories haven’t updated their practices. In my functional medicine practice, I have found that the ranges below are the ones in which my patients (and myself) thrive. I listen to my patients as well, and take how they are feeling into account. 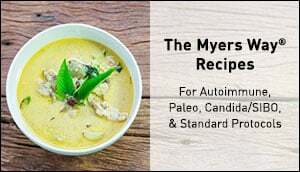 My sincere hope that your doctor is willing to order all of the labs listed above and then use the optimal reference ranges while working with you to restore your thyroid function. However, you may encounter some pushback or resistance. 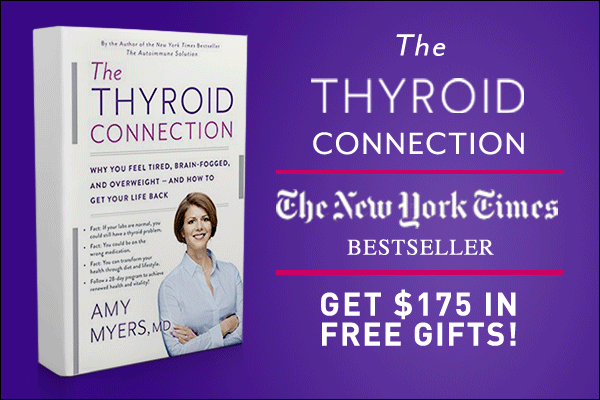 That’s why I included a letter from me to your doctor in my book, The Thyroid Connection, explaining why these tests and reference ranges are so important. I have heard from many people whose doctors were very receptive to running the labs after reading a letter from a fellow doctor, and who have even changed their treatment protocol after reading the book. Remember you are your own best advocate, and it’s your health you are fighting for, so don’t be afraid to stand up for yourself! 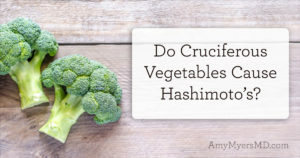 Beat Hashimoto’s Symptoms for Good! 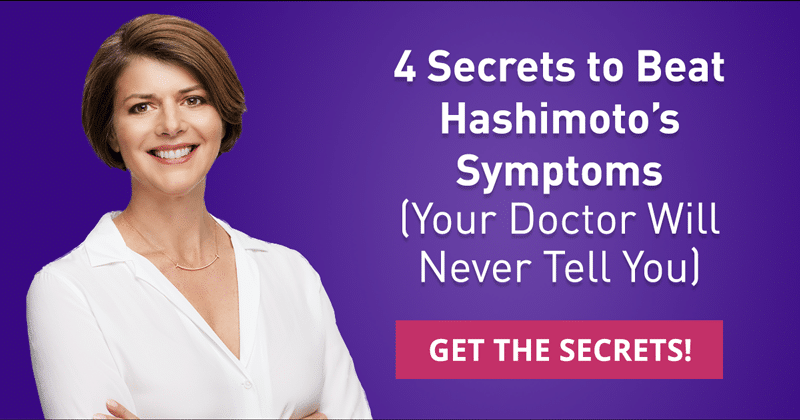 Find out why conventional medicine gets Hashimoto’s wrong and what’s really causing your symptoms. And how to finally drop those stubborn pounds! 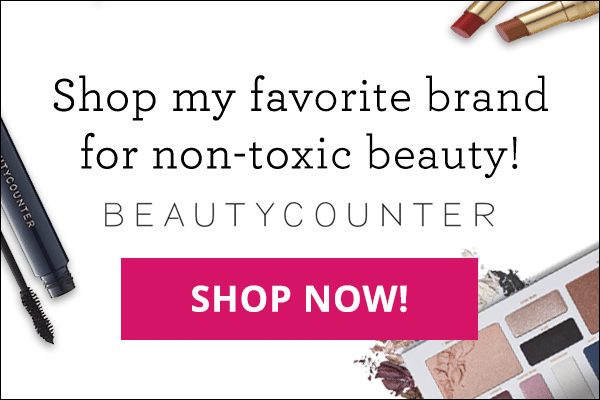 Click here to get the secrets!